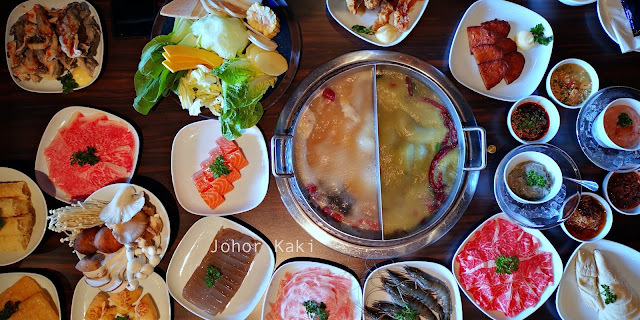 Today, we visited Chi-Gui Mala Hot Pot at the ground floor of Twin Galaxy in JB. 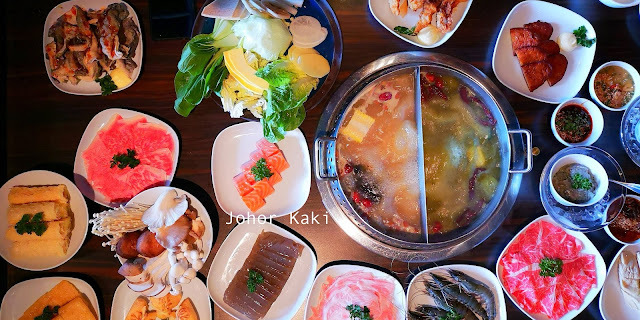 Chi-Gui Mala Hot Pot shares the same premises as Tanba Yakiniku 炭馬烧肉 which I had blogged about twice before (because my friends and I enjoyed eating here a lot 😋 ). 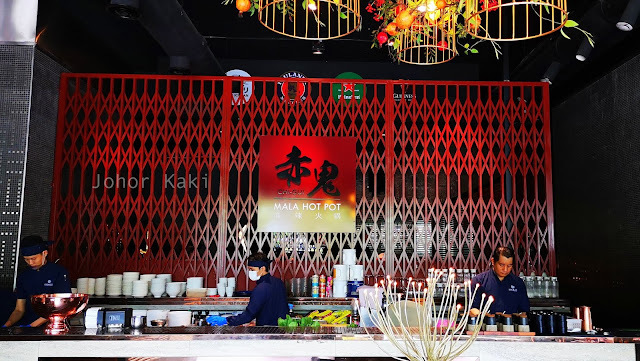 Speaking about mala hot pot, the first thing that comes to mind is exactly that - mala 麻辣, which literally means numbing spiciness. To our relief, Chi-Gui Mala Hot Pot has a range of 8 soup bases from non spicy to numbing spicy, so there is something for everyone. 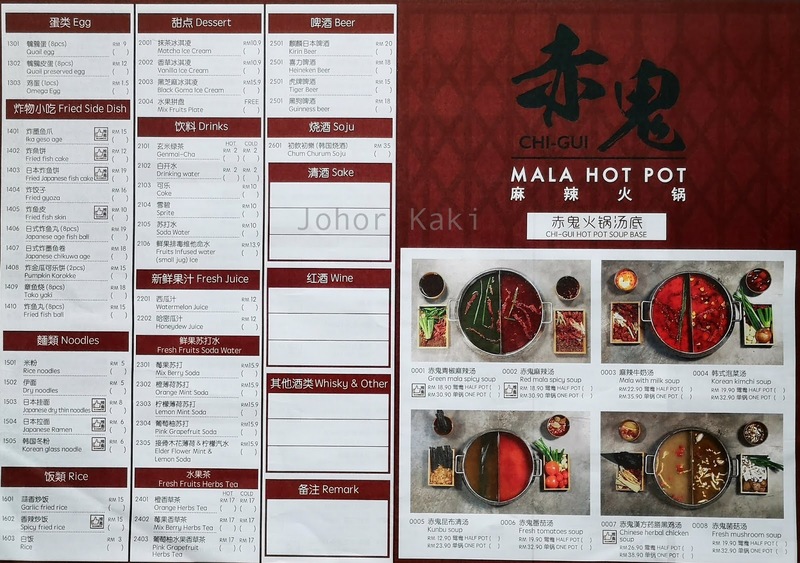 The hot pot has 2 compartments so we can always have the choice of two soup bases together. They can also adjust the spiciness of your chosen soup base. We chose the Green Mala soup as I have never tried green mala before. We filled the other compartment with traditional Chinese herbal chicken soup. 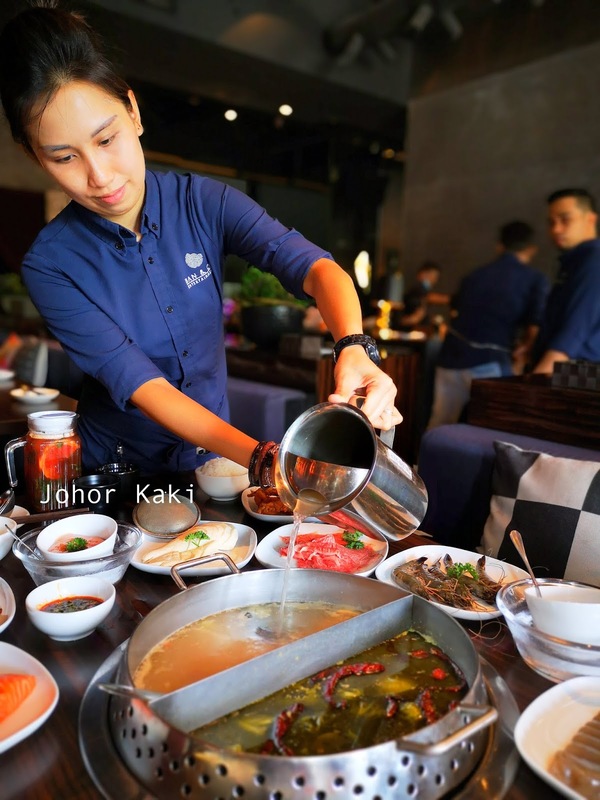 The hot pot is heated by a charcoal fired stove. The red hot charcoal heated up the soup quickly but we didn't feel any heat ourselves as the restaurant was air conditioned. The charcoal stove was also smokeless as smoke was ducted away by suction. 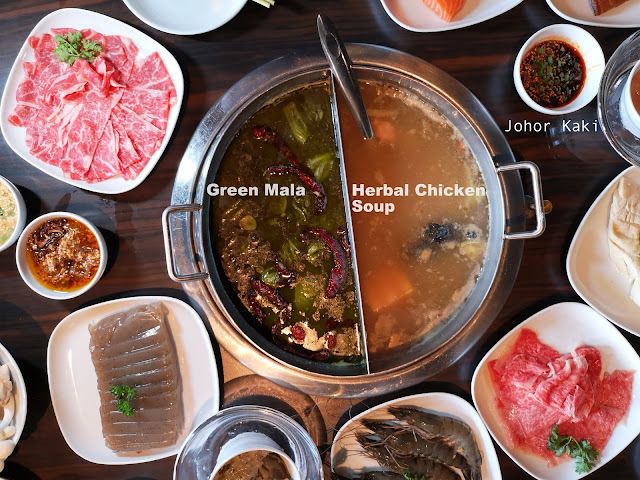 We had Green Mala and Herbal Chicken Soup. 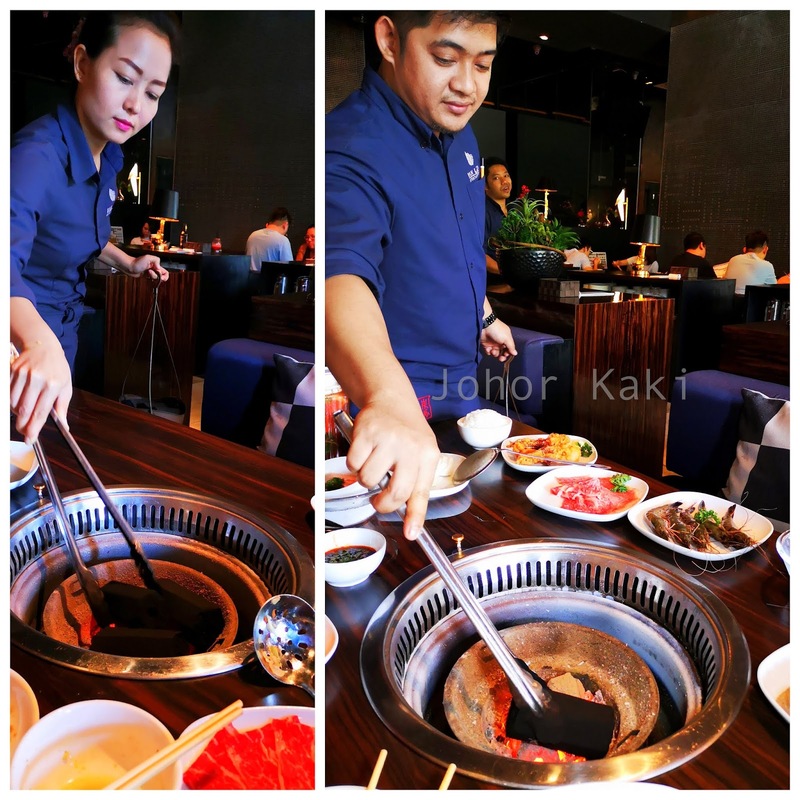 The attentive staff regularly topped up our hot pot and recharged our charcoal stove without us having to ask. 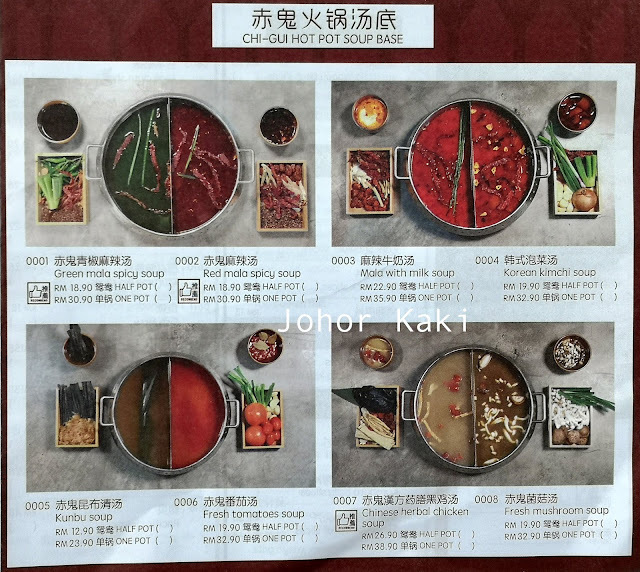 The soups at Chi-Gui Hot Pot are vegetable based, so they have a lovely gentle natural sweetness. The Green Mala soup had a mild spiciness and spice aroma. Go for spicier soups if you prefer more stinging kick from your mala soup. The herbal chicken soup tasted and smelled of Chinese herbs and there were large pieces of black chicken inside. Flavour was gently savoury sweet herbal. The red hot charcoal set the soups in the hot pot churning, rolling and bubbling steam furiously before we could say "let's eat". Chi-Gui Hot Pot's menu. Customers tick the ingredients they want for their hot pot. The ingredients are individually priced (the mala hot pot is not a buffet unlike the co-located Tanba Yakiniku). 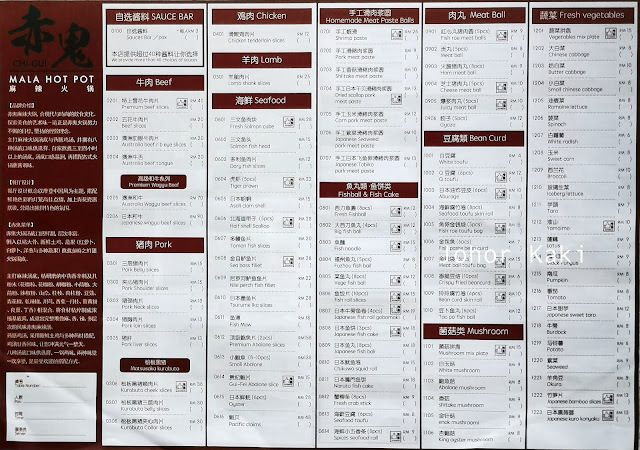 The friendly staff can help you with the menu. Add RM3 and get access to Chi-Gui Hot Pot's extensive sauce and spice bar. The blended sauces and spices are very interesting and tasty - go for it if you like strong flavours that give your food a kick. I actually found the original natural flavours of the fresh ingredients sufficient for me. So, I didn't use the sauces and spices at all. Our orders are prepared in this open kitchen. 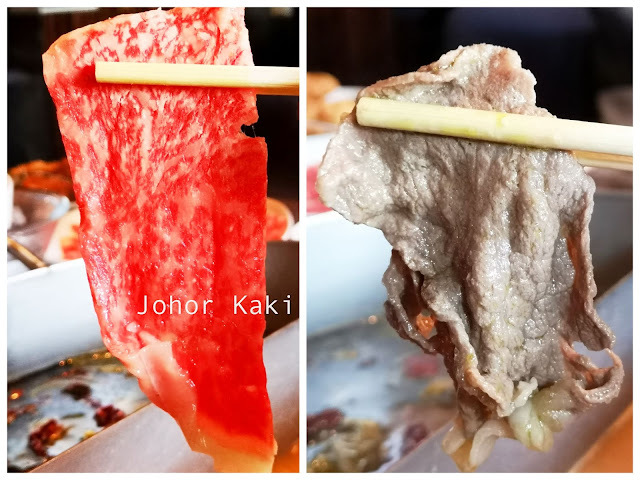 My favourite of the day was this Japanese Wagyu (RM90 per serving). 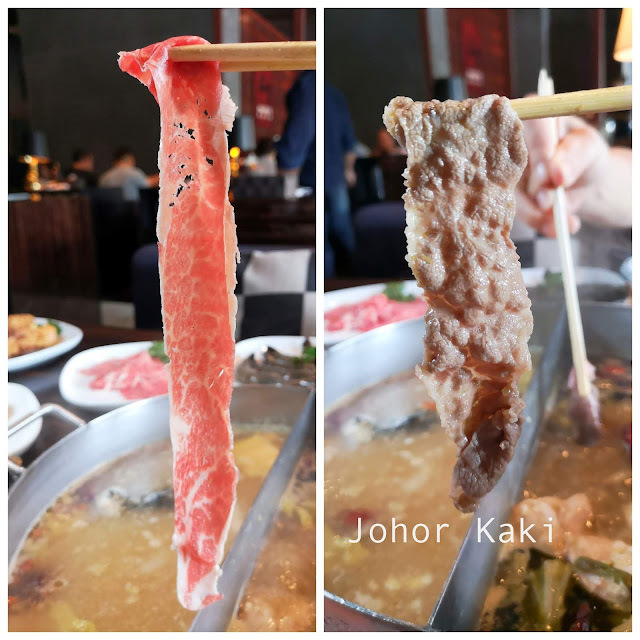 Tender and juicy, sweet and beefy with subtle traces of the soup it was dipped in. The Australian Wagyu Beef (RM70 per serving). 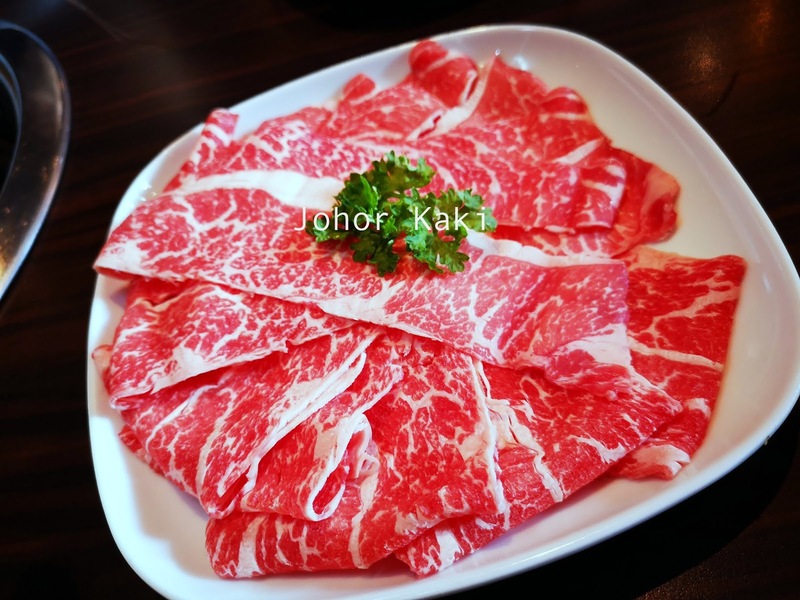 Natural sweet with lovely beefiness complemented by slight herbal or spicy taste depending on where you dip your beef. Ozzie or Japanese both are good - everyone have their own preference. 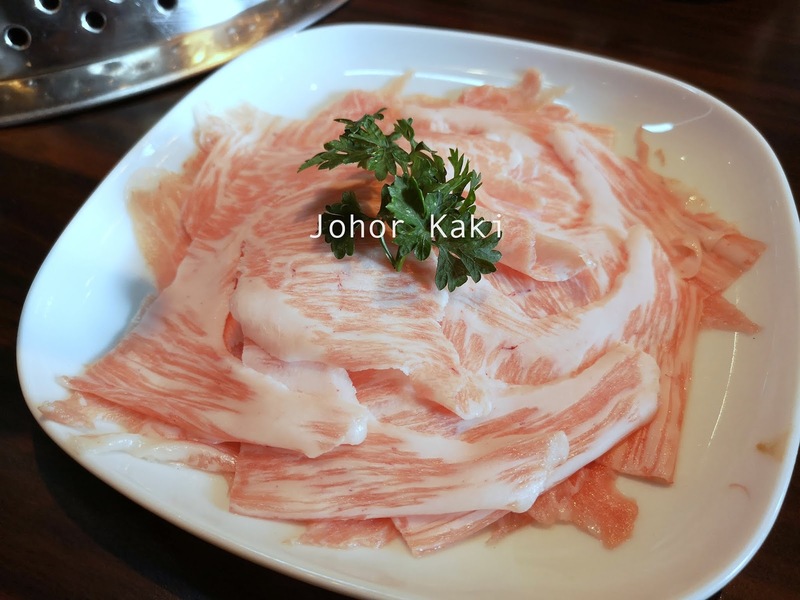 The best value was this Kurobuta Pork Cheek in terms of taste to price ratio (is there such a thing? 😝). 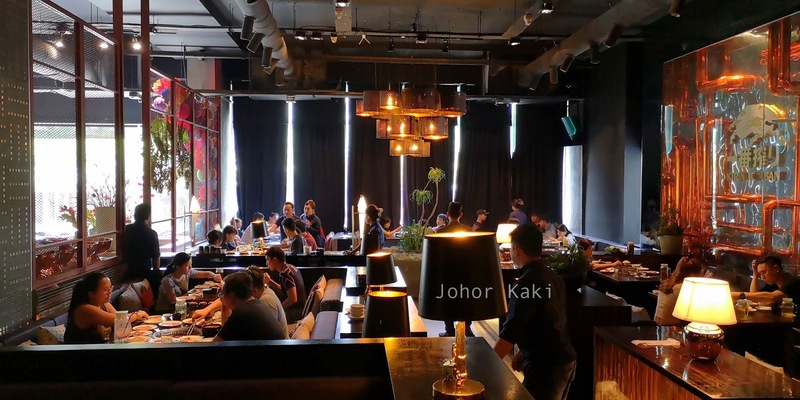 Best returns for taste at RM30 per serving. Natural sweetness with subtle underlying porcine taste. 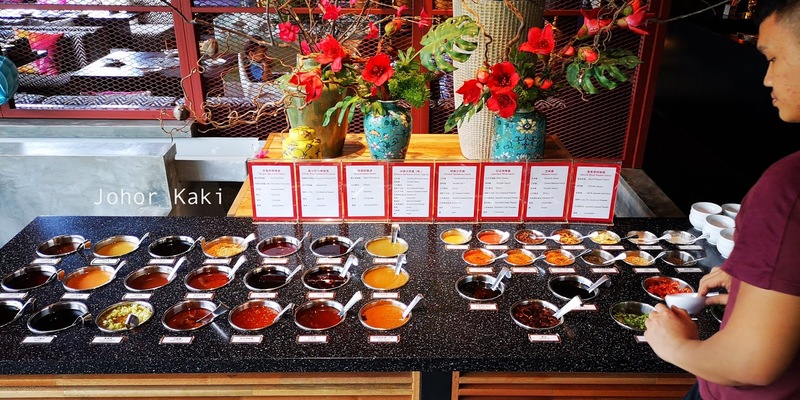 Your choice of soup provides the mild overlay of spicy or herbal flavour. 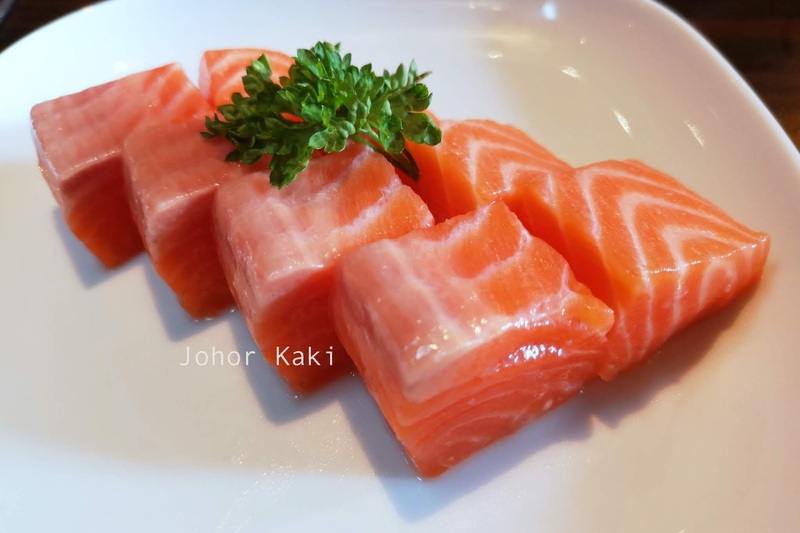 Fresh Salmon Cubes (Rm28+ per serving). 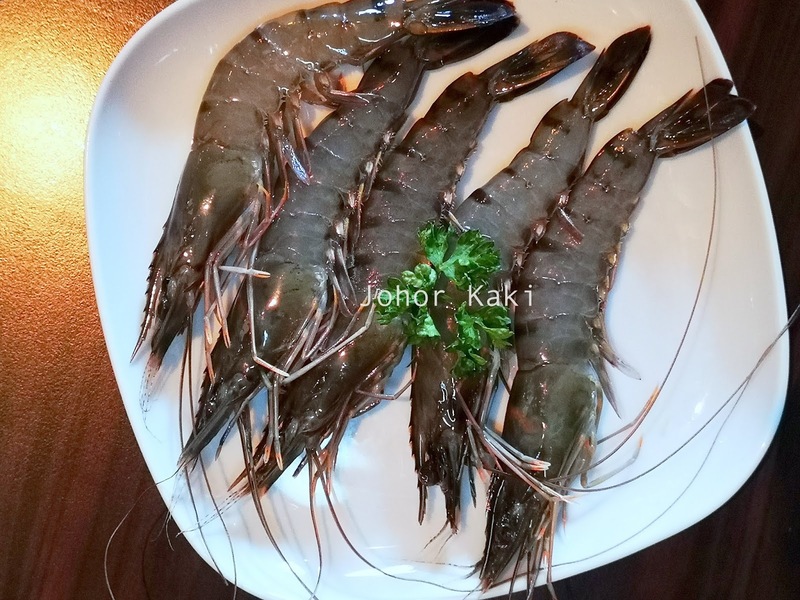 Fresh Tiger Prawns (5 pieces for RM22+). 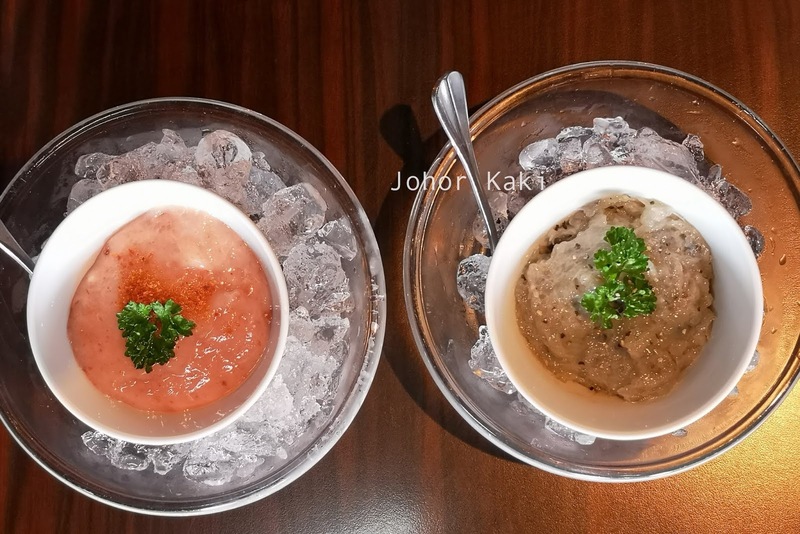 Shrimp paste (price RM26+) and Dried Scallop & Pork paste (price 13+). 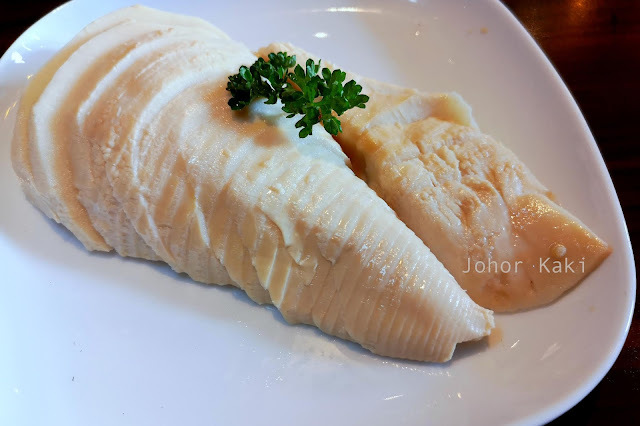 Japanese Bamboo Shoots (price RM13). 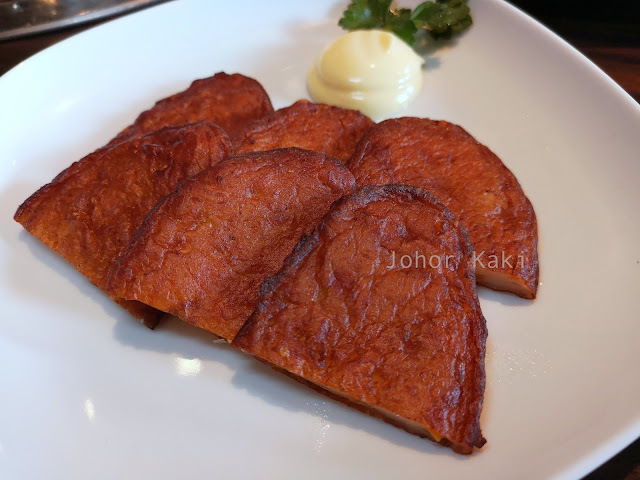 I like the juicy crunch and taste of bamboo shoot and will order it whenever it is available. 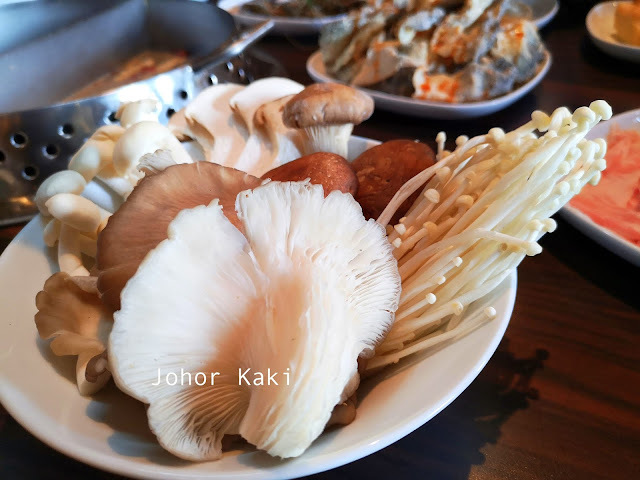 I love mushrooms because I love the way they taste and I like their spongy texture. 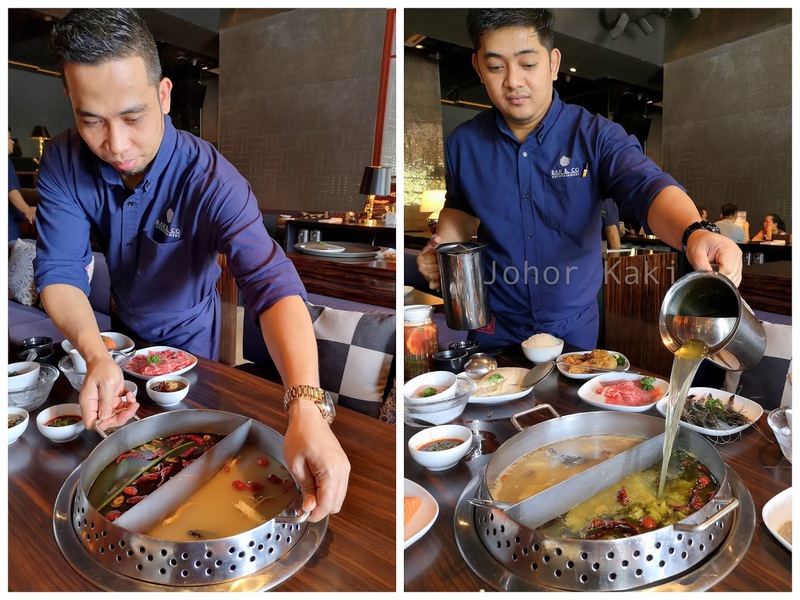 They also soak up the soup's herbal or spicy flavour well. 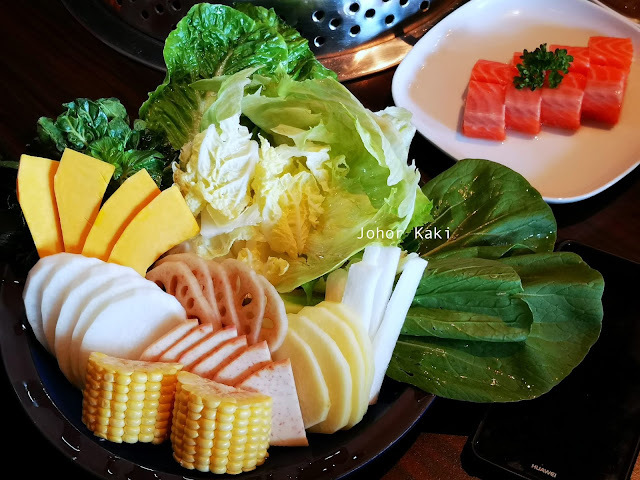 Vegetable Mix Plate (price RM15+). A bouquet of essential leafy fresh greens and root vegetables. Aburaage or Japanese style fried tofu skin (price RM10+). 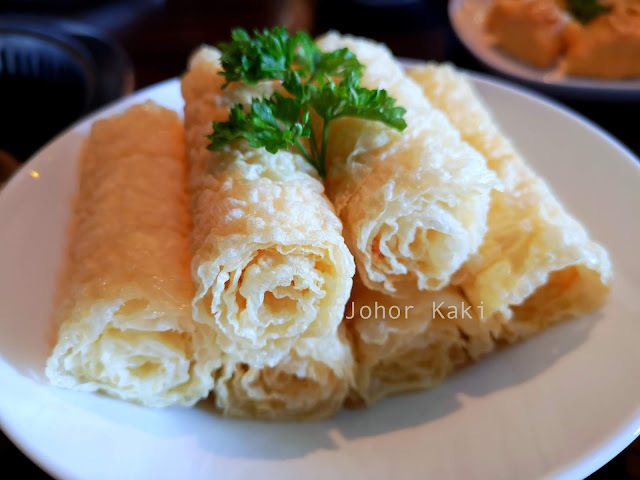 Bean curd skin roll (RM10+). 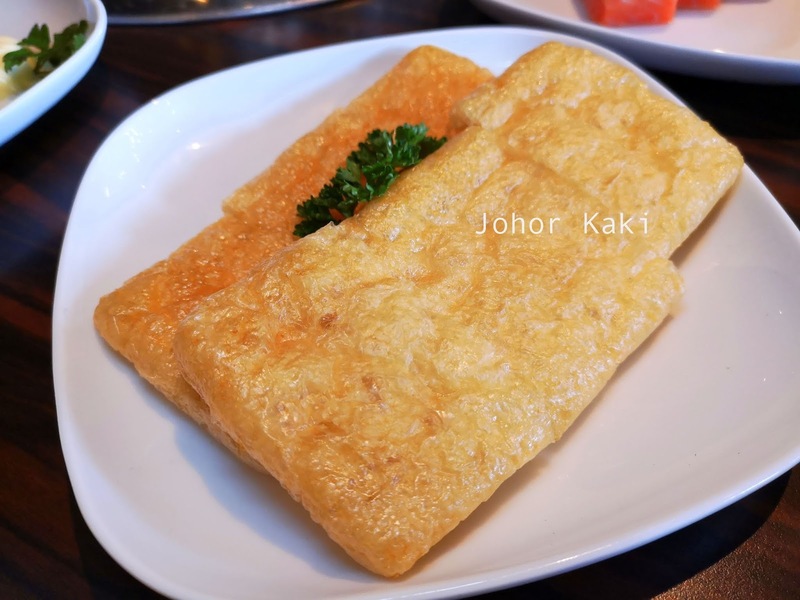 Japanese Fish Cake (RM18+). Tastes sweet savoury with fish sweetness underlying. 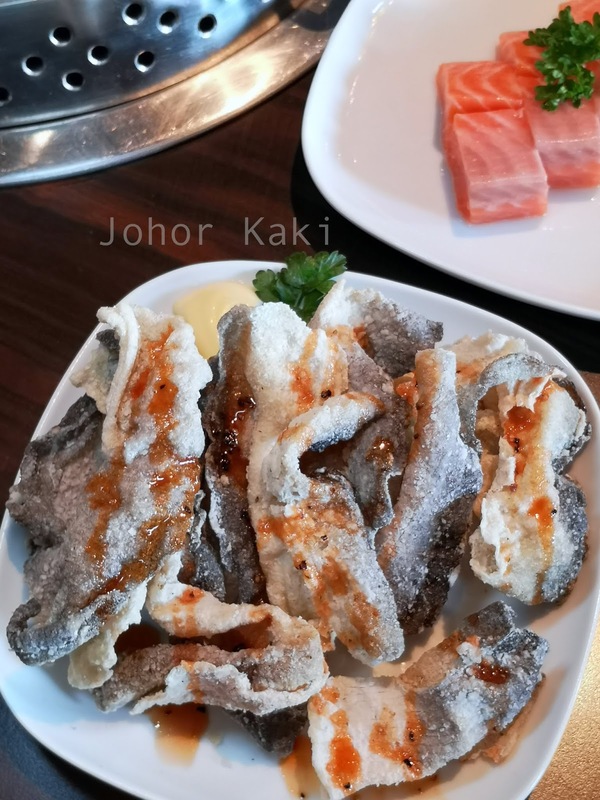 Fried Fish Skin which I must order whenever I see it (RM10+). 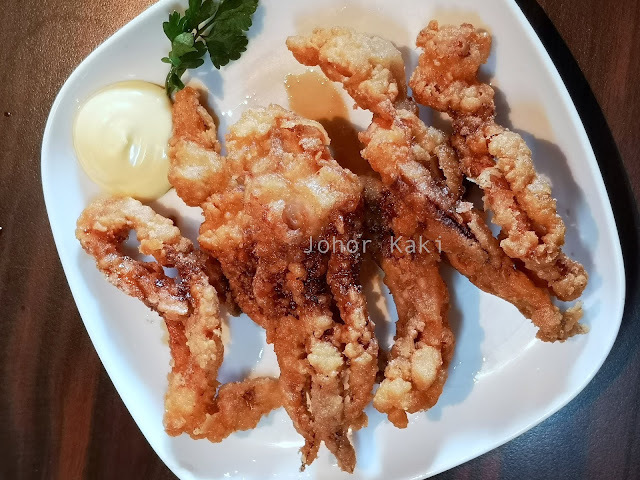 Ika Gesa Age or Fried Octopus Tentacles (price RM15+). The interior of Chi-Gui Mala Hot Pot which shares the same premises as Tanba Yakiniku. 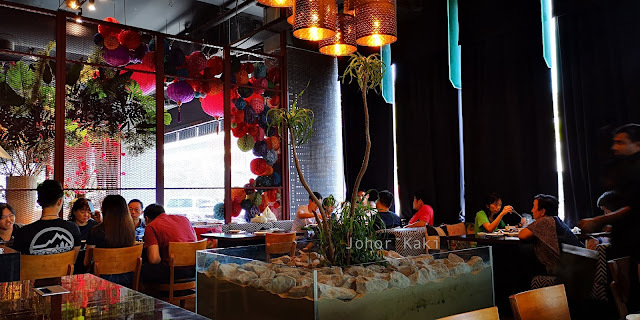 The decor still has traces of the flamboyant lounge before it was repurposed to a yakiniku/ hot pot place. It is very comfortable with air conditioning, plush seats, stoves with build in suction taking away the fumes and smoke. 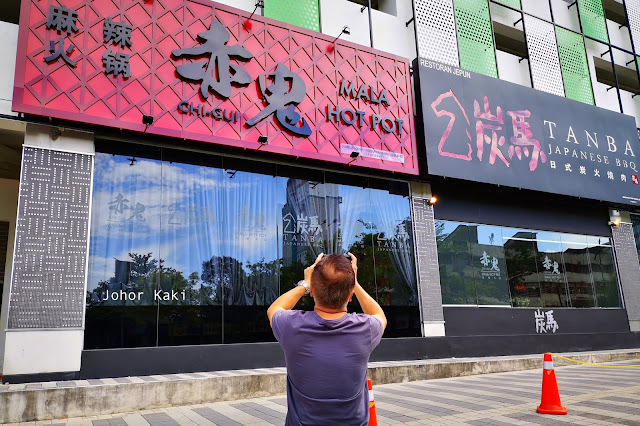 👉 Chi-Gui is a good place for hot pot from herbal to spicy mala. 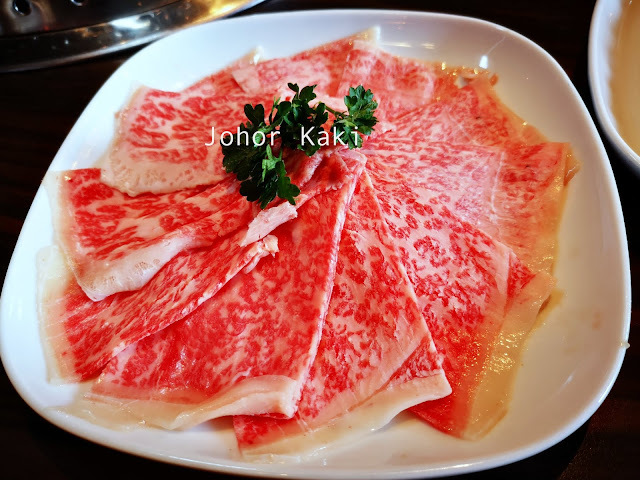 Wide range of ingredients including premium wagyu beef and kurobuta pork. Nice, comfortable environment and attentive friendly service.